This hearty vegan stew will warm your cockles on a cold, dark day. The unusual mixture of spices and healthy pulses and grains will surprise and satisfy those taste buds. Butternut squash is without a doubt one of my favourite vegetables: its orange colouring is wonderfully vibrant, it’s very versatile, tastes deliciously sweet with a satisfying soft texture and goes well with a range of herbs and spices. The only downside is that preparing one can be rather labour intensive, so don’t go hacking into a squash when you’re after a speedy meal. 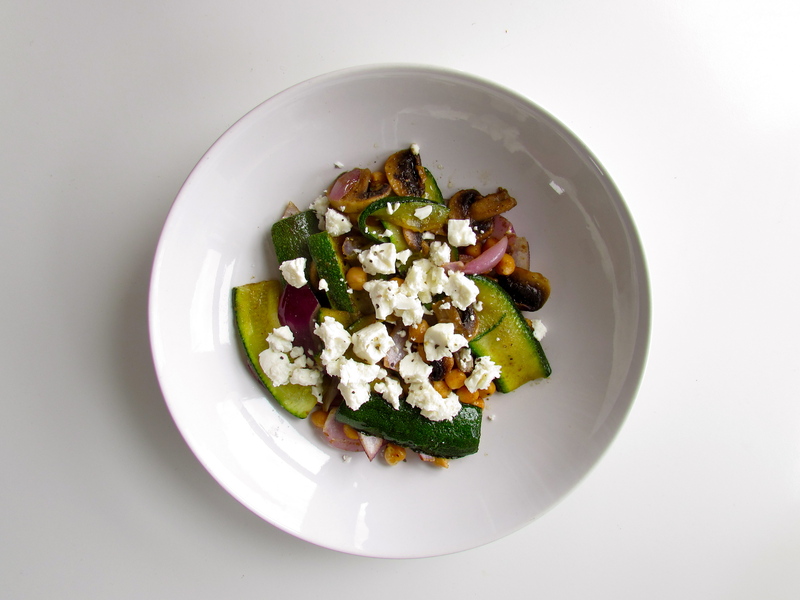 This dish is based on one of Hugh Fearnley-Whittingstall’s recipes from his brilliant vegetarian cookbook, River Cottage Veg. The spices and the variety of textures are really what make this a great concoction. The squash, chickpeas and orzo work well together and the mixture of coriander, cinnamon and turmeric inject strong, spicy flavours. 1. Heat the oil in a large saucepan or wok (I often opt for a wok) on a medium heat. Add the onion and fry until soft, stirring frequently. 2. Reduce the heat slightly and add in the celery, garlic and all of the spices, along with the black pepper, and stir in with the onions until well mixed. 3. Turn the heat back up to medium. 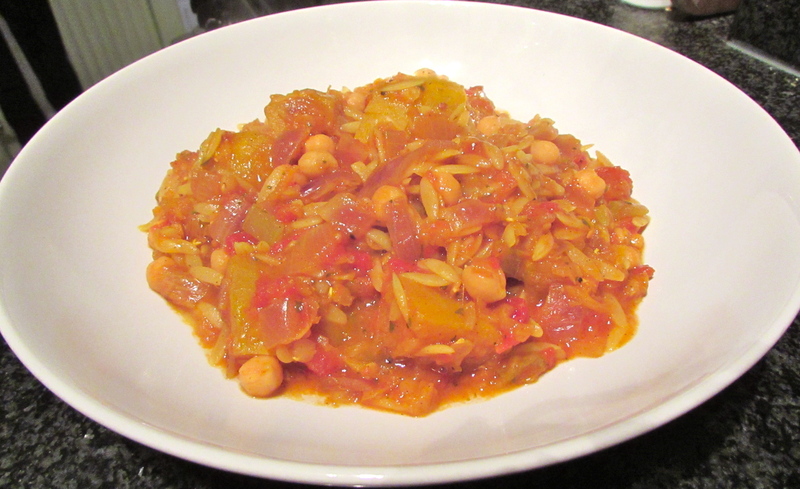 Add the chopped tomatoes, chickpeas and lentils, and stir all of the ingredients in together. Cover and allow to cook for five minutes, so the liquids are infused with the spices. 4. Next, add in the squash, pour in the stock and stir in thoroughly with the rest of the ingredients. 5. Cover and simmer gently for 30-40 minutes, stirring every 10-15 minutes. 6. After 25 minutes, stir in the orzo. Continue with the simmering until the orzo is soft and the lentils have fully absorbed the juices. 7. Season well and serve in large bowls.